If you’re ready to have a small but active SUV in Athens, TX, you need to see what the Jeep Renegade has to offer. This is the SUV that brings you the smaller size you’ve been looking for while providing you with the Jeep capability you admire. Stop by and see our team at Palestine Chrysler Dodge Jeep Ram Fiat today and let this be the vehicle you take home with you. Do you want to be able to handle the trails in the wilderness? Would you like to be comfortable on the road as well? Are you looking for fuel efficiency and usable cargo space? All of these qualities can be found in the Jeep Renegade. Take a look at this impressive SUV that looks like it’s been built with a fun side in mind. Because of its fun side, there is nothing serious about the way the Renegade looks, but it brings you the serious performance you want. Let our team take you on a test drive so that you can see how the Renegade performs. We’re certain you’ll want to take this SUV home to Athens, TX after you’ve taken a ride with us. The Jeep Renegade has been improved to give you more of what you want when you drive. This SUV is now offered with a standard rearview camera, the availability of the Jeep Uconnect 4 infotainment system, and a seven-inch touchscreen display. With this infotainment system, you’ll have the benefits of Apple CarPlay and Android Auto to make it easier for you to have the ability to put the apps you use every day to use while you drive. Connect to the system and enjoy the technology offered in this small SUV. As a Jeep SUV, the Renegade is built with the ability to handle a variety of terrains. The Selec-Terrain system you’ll find when you take this SUV out for a test drive has settings that help you handle the drive. The settings offered are Auto, Snow, Sand, and Mud to optimize the performance of the 4WD system when you drive. Let our team show you how these different settings feel when you drive so that you can find the right way to handle the trails in your area. When you want a compact SUV that can meet all your needs on and off the road, we can help make that a reality for you. 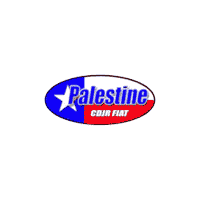 Take the short drive from Athens, TX to let our team at Palestine Chrysler Dodge Jeep Ram Fiat show you how the Jeep Renegade will become the perfect choice for your driving needs. We’ve got several amazing financing deals and lease programs for you to take advantage of. Make your way to our location and let the driving fun begin with this compact SUV that has everything you’ve been looking for.